Sedona is the perfect place to centrally locate yourself so you can experience Northern Arizona’s most famous attractions, many of which are conveniently located within a comfortable “day trip” distance from Sedona. So plan enough time to stay and see it all while your’e in town. There is so much to choose from that you won’t want to miss out on. Of course you must see the “8th Wonder of the World”, the Grand Canyon, only 114 miles north of Sedona. Travel to Navajo or Hopi Lands to experience the Native American culture. For nature lovers, you’ll enjoy a backpacking trip in the wilderness of the Coconino National Forest. In Flagstaff you can spend a day skiing at the Snowbowl, or strolling the Arboretum gardens by day and observing the stars at the Lowell Observatory by night. Visit the Museum of Northern Arizona rich in Native American history and art. Several National Monuments and State Parks are less than an hour away. So plan to extend your stay and expand your horizons. 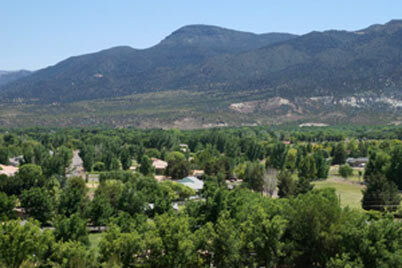 There is plenty more to explore within a short distance from Scenic Sedona. Click on the attraction buttons to the right to learn more. Experience Africa in the heart of Arizona! Copyright © 2005-2017 RED ROCK TV. All Rights Reserved.